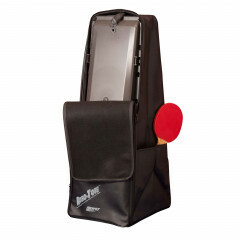 THE ROBO-PONG 2050 can be folded up including the net and securely placed into the strong ROBO TOTE-BAG. With the soft carry ROBO-TOTE, the robot can be transported safely to any destination and be set up again to play in minutes. Donic Robot backpack Newgy is beeing added to cart.